The Unique Identity Authority of India today said vested interests used Google's "inadvertent" act on its helpline number to create fear about and tarnish the image of Aadhaar while emphasising that a number stored in contact list cannot steal data from a mobile phone. The UIDAI said rumour mongers attempted to tarnish the image of Aadhaar for an inadvertent mistake of Internet major Google that led to appearance of its old helpline number 1800 300 1947 in contact list of several mobile phone users. "The UIDAI condemns the vested interests who tried to misuse Google's "inadvertent" act as an opportunity to spread rumours and go around fear-mongering against Aadhaar," the authority said in a statement. Google on Friday evening admitted that the number 18003001947 was added by it 'inadvertently' along with police and fire number 112 in 2014 and has since been continuing through sync mechanism. 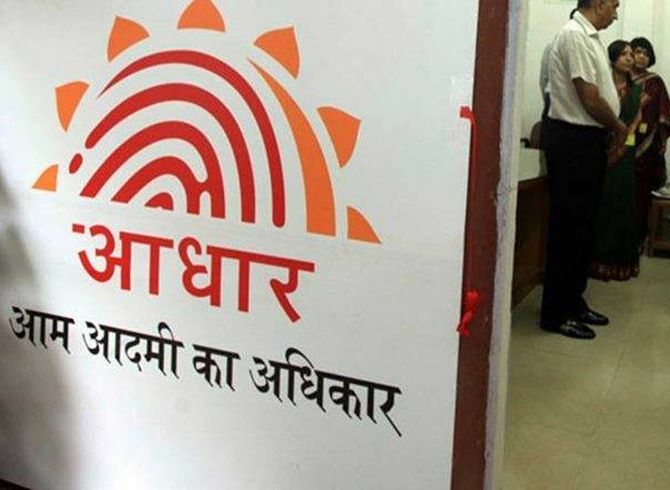 The UIDAI said that it has earlier clarified and emphasised that it has not asked any agency whatsoever to include its helpline number in the mobile phones and also added that merely adding a phone number cannot steal data in the phone. "Just by a helpline number in a mobile's contact list the data stored on the mobile phone cannot be stolen. Therefore, there should be no panic to delete the number as no harm will be caused. Rather people may, if they so wish, update it with UIDAI's new helpline number 1947," the authority said. Last week, a French security expert who goes under the pseudonym Elliot Alderson and describes himself as "worst nightmare" of the UIDAI had tweeted, "Hi @UIDAI, Many people, with different provider, with and without an #Aadhaar card, with and without the mAadhaar app installed, noticed that your phone number is predefined in their contact list by default and so without their knowledge. Can you explain why?"